Haircut Gone Wrong? 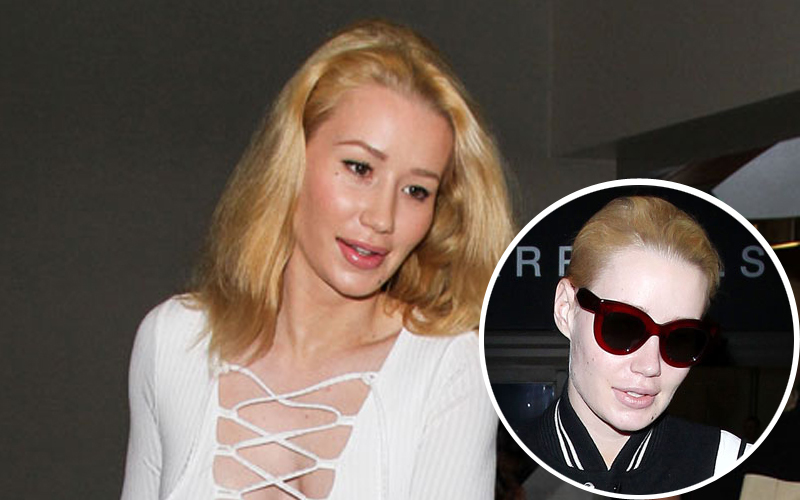 See Iggy Azalea's OMG New Look! Iggy Azalea took a shortcut to LAX—but was it the right way to go? The 25-year-old rapper appears to have made a drastic decision regarding her appearance as she was photographed arriving to the airport sporting a Letterman jacket and a much, much shorter 'do. But this isn't the first time that "The New Classic" diva took scissors to her tresses. Back in May at the Billboard Music Awards, Iggy debuted a shoulder-length cut with pink ends and fans loved it. After all, it was the perfect edgy style for an edgy artist. She even said on the red carpet: "I'm recording my second album and I felt like I need a change of hair and change of style. I'm feeling very revamped." Iggy was last spotted with her long golden locks just a few days ago, but she obviously was serious and dwelling over that drastic makeover thought. But it looks like her wedding hairstyle choices will be slim pickings when her big day rolls around with Nick Young.